I received my Master of Science in Oriental Medicine degree from Southwest Acupuncture College in Boulder, Colorado after completing an intensive 3000+ hour program including didactic, practical, and herbal education as well as 900+ hours of clinical experience. I am a Diplomate of Oriental Medicine with the NCCAOM (National Certification Commission for Acupuncture and Oriental Medicine), the national governing body for acupuncture and Oriental medicine, and am licensed by DORA, the Department of Regulatory Agencies, in the state of Colorado. I specialize in treating musculoskeletal pain, dysfunction, and injury of both acute and chronic natures. It is rewarding to help people learn to get more in touch with themselves and their bodies, empower them to participate in their care and healing process, and give them tools they can use to maintain the results they get from treatments. I enjoy incorporating my 11 years of experience teaching thousands of yoga classes with my knowledge of acupuncture and Oriental medicine to help identify structural imbalances or compensation patterns and assist people in changing and correcting those issues. I am strongly anatomy-oriented and focus heavily on proper body mechanics and alignment when I teach yoga as well as when I am helping my acupuncture patients to identify and correct lifestyle habits that may be impacting their condition. I also am passionate about helping people with digestive issues. Having struggled with chronic reflux (GERD) and poor digestion, I know how much this can impact quality of life as well as health. I feel that the root of much healing depends on having a strong healthy digestive ability and with our standard American diets, many of us can use some help in this department. I like helping people identify and bring awareness to what is out of balance or not functioning optimally in their internal environment and be able to help them restore harmony and function, reduce or eliminate pain, improve quality of life, return to activities they enjoy, and find increased well-being in both mind and body. Each patient is unique and each treatment is tailored for that individual's needs on that particular day. In any situation, I like to empower people to participate in their own healing process by offering at-home self-care exercises, nutrition and lifestyle recommendations, and herbal formulas if they would be helpful and appropriate. I believe that successful treatment involves a partnership between patient and practitioner to expedite the healing process, make the duration of treatments last longer, and truly address the core issues that are allowing disharmony to exist in the body. I strongly feel that if we strive to increase our own personal body awareness, we are better able to advocate for ourselves in any healthcare setting because we are more mindfully aware and can address small disharmonies before they manifest into more severe ailments. Outside of my interest and ongoing learning in acupuncture and Oriental medicine, I also maintain my certification as a certified veterinary technician (CVT) which I have held since graduating from Bel-Rea Institute of Animal Technology with an Associate of Applied Science in Veterinary Technology degree in 1996 and passing the Veterinary Technician National Exam in 1997. Although I am not currently working in the field, my 15+ years of experience in veterinary medicine was mostly in fast-paced, high volume, high quality of care settings ranging from overnight and emergency practices to the Boulder Valley Humane Society. In addition, I have a Holistic Health Certificate and Small Business Management Certificate from Front Range Community College which I earned just prior to beginning school at Southwest Acupuncture College. There's no denying it - I am a yoga, rock climbing, and anatomy enthusiast! 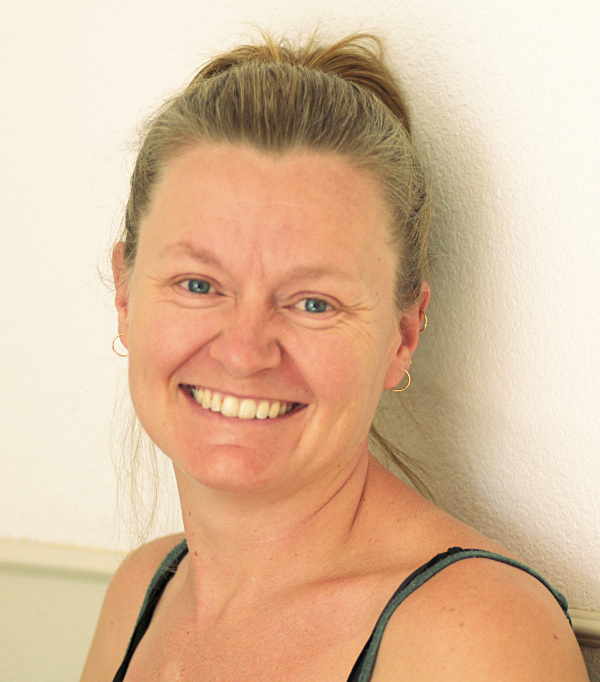 In addition to my credentials in Acupuncture and Oriental Medicine, I am a Registered Yoga Teacher (RYT200) with Yoga Alliance and have been teaching Hot Yoga classes since 2006. My first yoga class ever was a Bikram class in 2005 and it profoundly changed my life, for the better, forever. I attended a 500+ hour Hot Yoga teacher training in the fall of 2006 and have been teaching classes using the Bishnu Ghosh lineage of postures ever since. Over the years, I have added a variety of other styles to my repertoire including Aerial yoga, Vinyasa, Hatha, and Yin Yoga. I completed another 200 hour teacher training with Yoga Medicine and Tiffany Cruikshank, LAc, E-RYT500 in February 2015 and am currently working toward my 500 hour advanced training with them. In December 2016 I was able to participate in a week-long untreated cadaver lab immersion at the Laboratories of Anatomical Enlightenment in Phoenix, AZ through the Yoga Medicine program which was an incredible experience that reaffirmed my passion for anatomy and the human form. I enjoy being fit and active and love the outdoors and all nature has to offer including rock climbing, camping, biking, horseback riding, bird watching, and hiking. I also enjoy a good challenging spin class, pilates, reading, sleeping, vegging out, and cuddling with my cat and my boyfriend.